Did you invent Knowledge Quest? Did you make up Knowledge Quest? How did you make Knowledge Quest? I’m just back from two weeks in Victoria where I visited several schools using Knowledge Quest. In every class I visited, 13 year olds peppered me with questions about Knowledge Quest and my capacity for creativity and innovation. Regrettably I had to answer these questions with ‘no, I didn’t invent Knowledge Quest, but I wish I did’. It is always a good sign when students ask these sorts of questions. In an industrial economy, there was little scope to ask questions. Compliant workers in factories had a set of procedures to follow. Schools were established so that compliant workers could be churned out to work in factories. No need to ask questions, just do what you’re told to do. The rapid changes of today’s economy require a new worker. Today it is important to ask questions, take some risks, have the capacity to solve problems and create new ideas. This presents a cultural shift in the way we live and work in the 21st century. Knowledge Quest symbolises a cultural shift. As a learning resource, it draws on elements of gaming in popular culture which are combined with new ways of learning in the 21st century. It gives students a new way of learning grammar. No questions here about engagement from the students I met – they like this way of learning. But these 13 year olds also peppered me with questions about features they would like to see in the next version of Knowledge Quest. No shortage of ideas here. At this point, I opened my notebook and jotted down their ideas to pass on to some of my colleagues at Jacaranda. These 13 year old inventors had many ideas to share. What I love about summer holidays is that you feel like a kid again. The luxury of time and space during holidays allows you to have more fun. 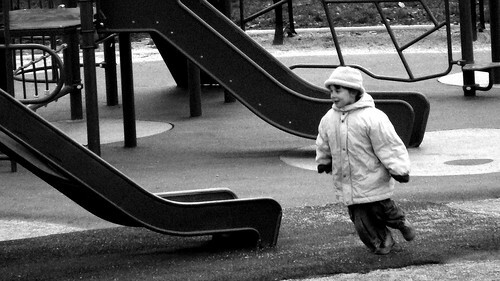 You play with the kids more and discover your inner child again. You also think of all those wonderful childhood memories when you were having fun. As we get older, fun and games are relegated to the fringes – fun is something ‘trivial’ that we fit in around the seriousness of our daily adult lives. No wonder we yearn for the simple days of our childhood when we find the going is getting tough! The good news is that fun and games are coming back more into our adult lives. Yes, 2012 is an Olympic year. But the concept of games goes well beyond the Olympics – games are now influencing the way we work and learn. Gamification is a movement that takes fun and games away from the periphery and places it into the centre of our lives. More specifically, gamification refers to the use of game design elements to engage audiences in solving problems. These elements include high-levels of interactivity and the recognition of achievements and rewards through badges. The aim is to make learning fun and to motivate students to learn better. 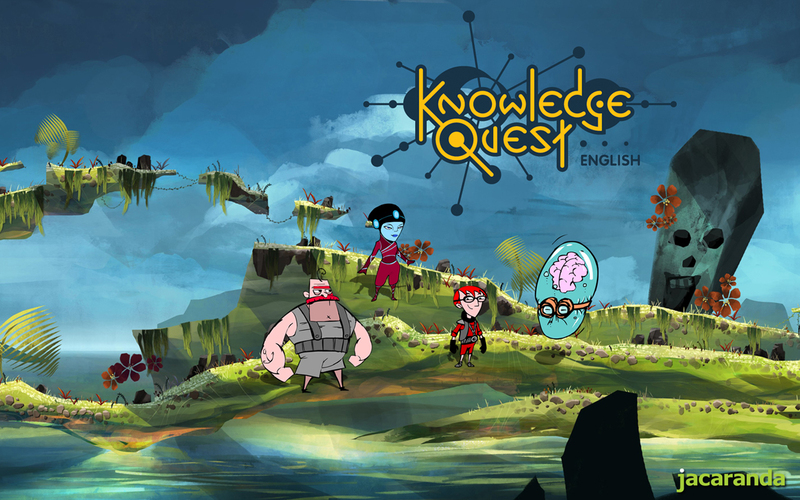 Jacaranda’s Knowledge Quest engages and motivates students by putting the fun back into the learning of English skills. 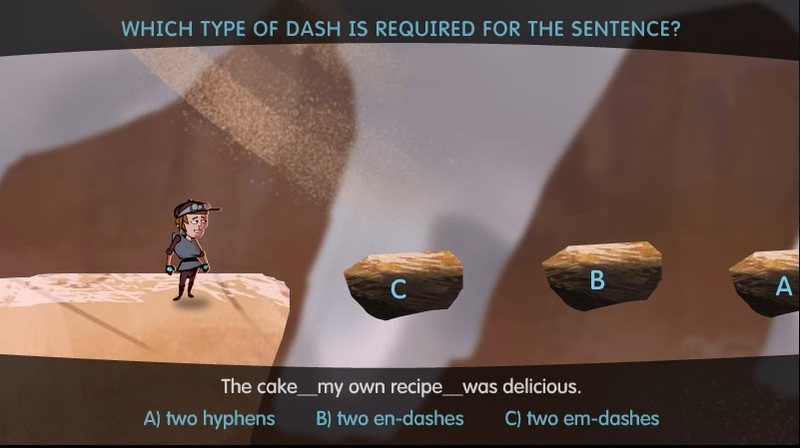 It is an immersive, interactive game that specifically targets NAPLAN testing. I once taught English up to Year 10. Knowledge Quest is exactly what I needed when I was trying to make students believe that learning grammar was fun. I didn’t succeed here – my students knew I was pretending! As for now, I am really having fun as I show teachers across Australia how the game context in Knowledge Quest can be used to learn English skills. It is wonderful to see so many teachers having fun as they jump over obstacles and navigate nouns, possessive adjectives, prepositions and verbs in an attempt to prove their grammatical prowess. And the best part is when these teachers say that they feel like kids again!